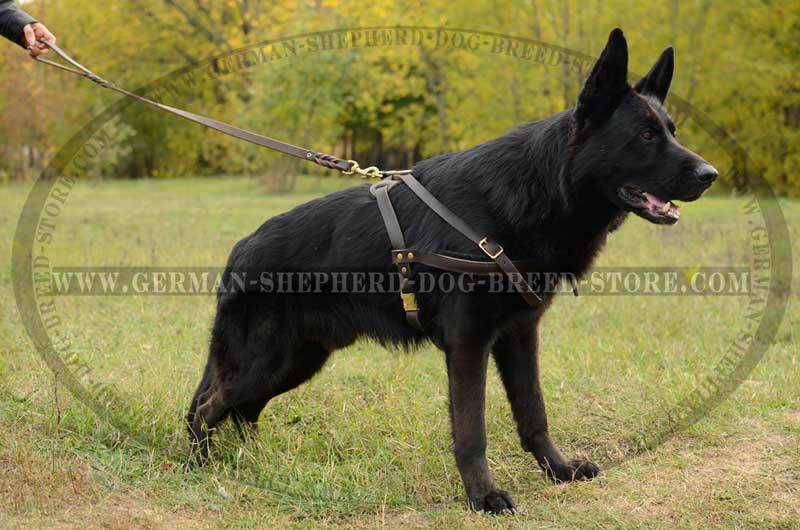 We want to pay your attention to a stylish and extraordinary Harness for tracking and pulling that will perfectly fit your German Shepherd (on condition that you give us correct measurements of your dog). 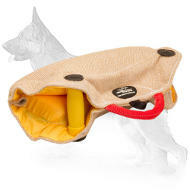 This quality and beautiful working dog equipment is made of full grain genuine leather. Spending much time on surfing web sites in search for quality dog stuff for GSD is now unnecessary because all products presented on this site are of a high quality. Quality materials. 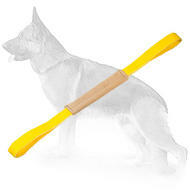 While creating a new piece of equipment for such dog as German Shepherd it is necessary to take into account all peculiarities of the body structure and behavior of this dog. 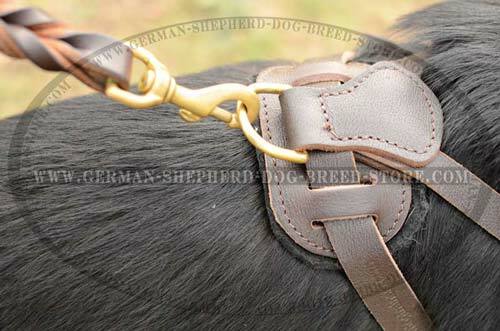 That is why one of the best materials for GSD harness is leather. 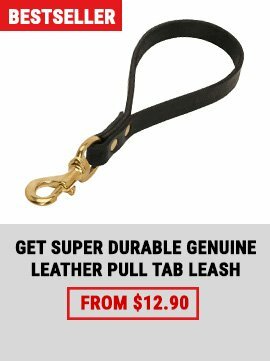 It is very strong but still soft and gentle leather that will withstand the power of this breed and provide your dog with full comfort. Complete comfort. 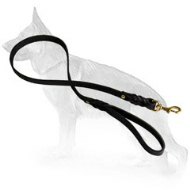 A precisely designed breast strap is lined with extra thick felt to offer supreme comfort for your dog and to absorb the shock during pulling work. Good fitting. This harness is available in 4 sizes. It is three way adjustable that is why there won't be any problems if your dog puts on some weight, grows or goes on a diet. Guaranteed safety. If properly fitted, there is little possibility that your dog will have problems when wearing this harness, because it is difficult for a dog to take the harness off. Handmade. It is one of the greatest advantages. As you know the most valuable things are those that are handmade. 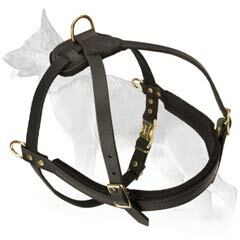 The best craftsmen work over this harness to please you, our dear customer. All stitches are carefully made for this harness to serve longer. Functional design. This harness is multipurpose. 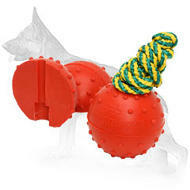 It can be used as tracking and pulling harness as well. 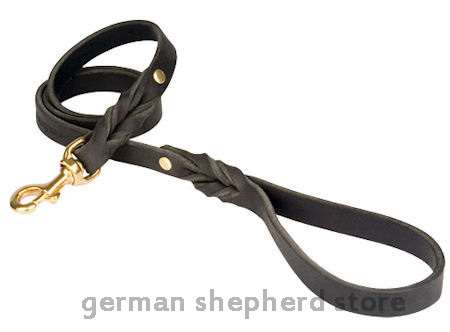 Top quality leather makes this harness extra durable. 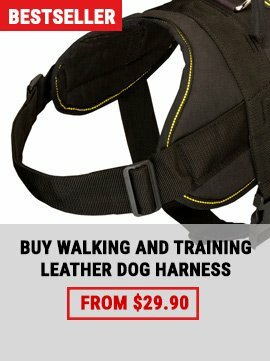 So you and your dog can fully rely on this harness. Is your dog still a puppy? Well we always recommend to get one of our economic solution products. 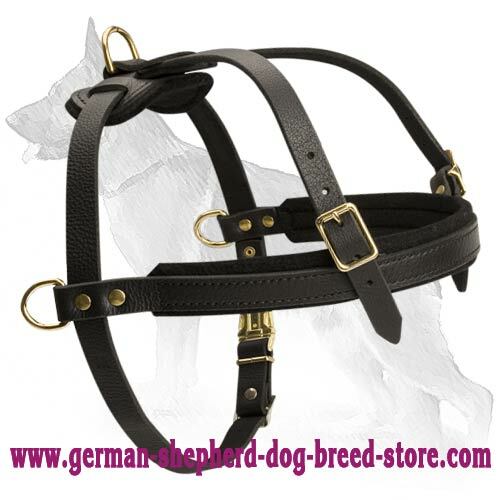 We make very nice low price good quality German Shepherd harnesses. We would recommend to wait with muzzle until your dog is mature enough, the only exception is when your dog has some behavior or aggression problems which must be solved instantly. 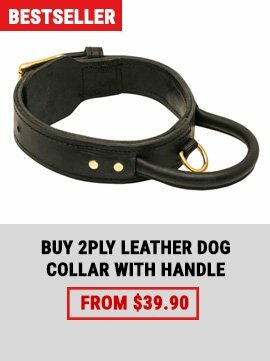 Please note, that when you get some products while your dog is not fully grown, it might lead to the situation when your dog will outgrow a muzzle, harness or a collar. That is why it is preferable to provide age and breed of your dog when you place an order. You should also remember that buckles can be regulated only to a definite level. 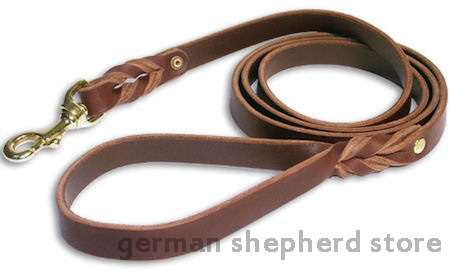 Hi, I purchased your German Shepherd tracking/pulling harness for my weimaraner for tracking/biking purposes. . We are in Western Washington State and i'm hopeful that the leather will be OK with the rain.. any suggestions for the rainy/humid climate to preserve the leather?